Quote Rollers, meet the Panda Bears. Panda Bears, meat the Quote Rollers. OK, now that introductions are finished, let’s get down to business. While we are still working to fine-tune Quote Roller to be the business proposal app of your dreams, we’ve been working on something else that we mentioned a few months ago — PandaDoc business document processing app. It’s like Quote Roller, but much, much simpler and for all sorts of documents. While Quote Roller allows you to build detailed proposals that show off your business in the finest light, PandaDoc allows you to simply crank out all your business docs with ease. Both apps work to be their respective markets’ easiest to use, both use templates to rapidly create and reuse successful docs, both close deals faster with legally binding electronic signature and tracking, both have our guarantee of great customer service, and both are focused on streamlining and mobilizing your business with as many SaaS integrations as possible. Not sold yet? Well, you can go to https://www.pandadoc.com right now to sign up and learn how this app can complement your Quote Roller experience and your business. There’s nothing worse than sending something and then waiting for it to be signed… and then waiting… and waiting some more… Never knowing if your client has opened your contract yet or if maybe it took so long to download and print, sign, scan, and re-upload that sucker that your contract was forgotten for other things. If there’s something that both Quote Roller and PandaDoc hate, it’s paper. Paper documents not only hate on trees, but they’re antiquated ways to do business. PandaDoc is just another way us Quote Rollers are looking to eradicate paper and enable more deals to be closed quickly. It’s really simple. You can upload a document from your hard drive, Dropbox, or Google Drive. Or you can simply snap a shot of a document with your smartphone or tablet. 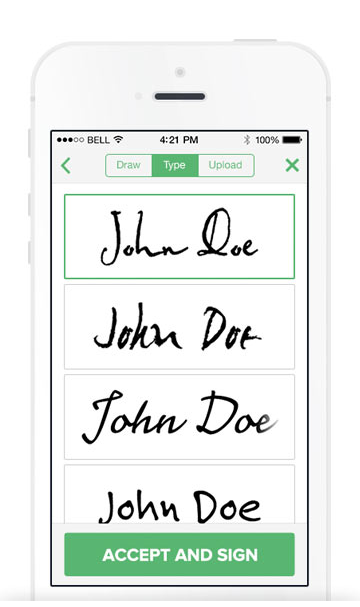 Next, drag-n-drop electronic signature widgets and other blank fields, like dates, polls, and checklists. Allocate which actors you want to sign which part. This is a great tool for contracts and agreements that need multiple signees, so you don’t have to worry again about reprocessing everything after someone makes a small signing mistake. From here, you can send the document in an encrypted email to your signees, or you can save it to your Template Library. If multiple members of your team are working to build different sections or drafts of your document, PandaDoc will also track different document versions so you won’t have to worry about sending the wrong version of a document again. Wait, you can negotiate online? 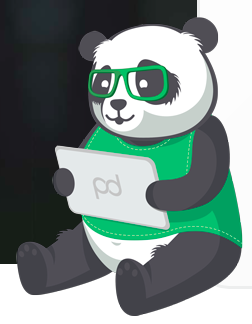 With PandaDoc, like its Quote-Rolling buddy, you know exactly when your client opens a business document and when they sign it. 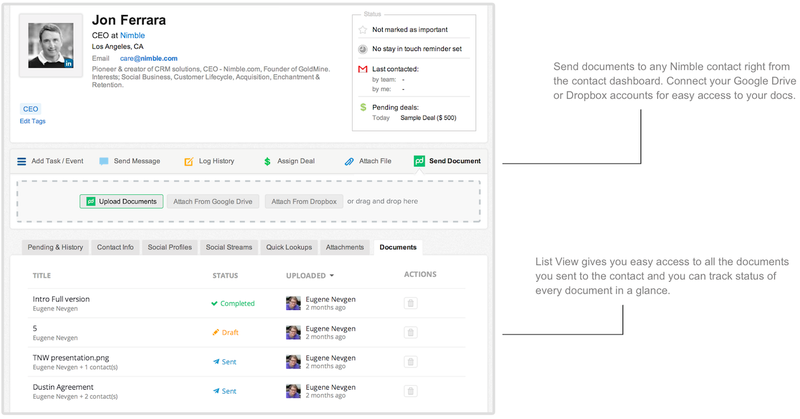 You can also negotiate in real-time on the document. No longer do you have to send emails back and forth or spend precious time trying to figure out the terms you are debating — it’s all right there for everyone to see and negotiate on. What’s up with PandaDoc’s electronic signature? PandaDoc offers you the fullest level of secure electronic signature. PandaDoc keeps a log of every IP address, user and time stamp involved in a transaction, and will initiate a signature certificate with a unique barcode when the document has been signed by all parties. Plus, PandaDoc is all about making it easier for your clients to say YES from anyplace at anytime (because sometimes your clients may be pandas, and we all know they’re all thumbs!) That means you can use your mouse or touchpad to trace your signature, you can type to sign, or you can go ahead and upload an image of your perfect John Hancock. Who does PandaDoc work with? PandaDoc, just two days out of its beta stage of life, already has SEVEN SaaS integration partners! We are focusing on partners that help you create documents faster and on those that help you do things faster, but need help in the docu-department. To start with the first, PandaDoc now allows you to import docs from your Dropbox and Google Drive. You can also import your contacts from your Gmail, and you can Edit your docs with Google Docs. On the flip side, PandaDoc integrates with really strong apps that allow you to do your day-to-day, but can really benefit from adding document processing right in there. First up is a strong integration with Nimble CRM, which syncs contacts across platforms and allows you to edit and send a PandaDoc right from within your Nimble Contact Dashboard and it will automatically save right inside your Deal Dashboard. The next fabulous integration is with Harvest project manager, where you can use PandaDoc to send and close agreements to your Harvest contacts, and then you can manage your time and invoice them via Harvest. And, last, but not least, PandaDoc integrates with good old Quote Roller, in case you want to sync those contacts or get a higher level electronic signature for your business proposals. What’s that about PandaDoc and 300 templates? Really, we get it. Documents aren’t fun. We can perform miracles, but we sure can’t make documents fun again because they never were. We just want to help you make documents a simple blip on your busy radar, not something that takes chunks out of your day. That’s where templates come in. As mentioned above, you can build your own template library of documents that you and your colleagues use every day. Or you can kickstart your process by using one of our templates. We are having panda-sympathizing, deal-closing, legal, accounting and consulting all-stars working around the clock to recreate the templates they’ve used to close deals fast. By next week, we will have about 50 industry-standard, sector-specific contract, agreement and proposal templates that you use every day. By the time Spring has sprung, it will be around 300. Not only will you be able to milch off of their collective experience to create respectable contracts and other documents that can be signed all online, but your client information will pour down from your favorite CRMs and the like — so no more copy-pasting-hoping-not-erasing for you! Plus, our fantastic panda bears are writing special PandaTips in layman’s terms just so you can better understand what you’re sending out. PandaTips include explanatory notes, tricks for how to fill out various sections and just dang good business advice for closing more deals!